Pullman Kuching is centrally located in the Kuching Golden Triangle, enjoying pride of place on Jalan Mathies hill, with panoramic city and river views. 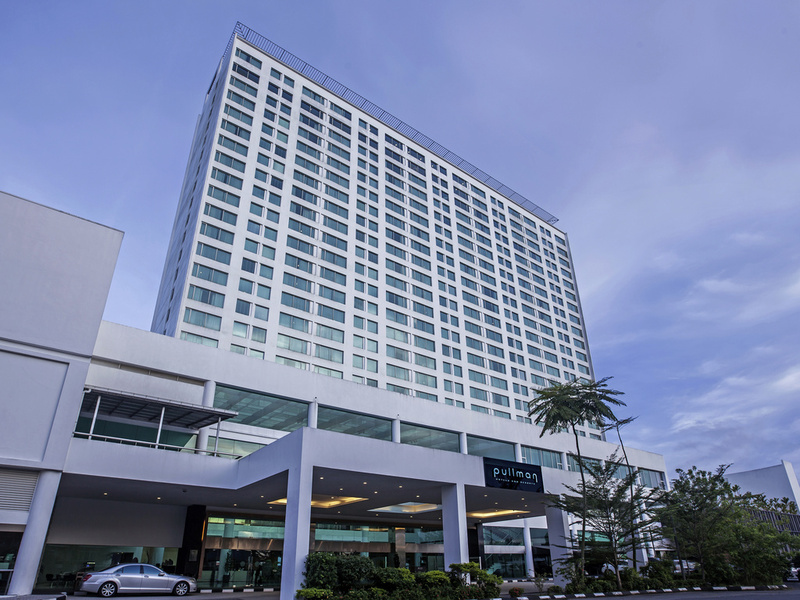 The first Pullman hotel in this vibrant city, Pullman Kuching features 389 spacious, contemporary rooms and offers easy access to renowned Borneo national parks. The hotel is ideal for business guests, offering an abundance of conferencing space, state of the art facilities and technology, plus a range of trendy restaurants and bars, and a high-end spa. Centrally located at the hotel lobby, Déjà vu is the coolest place to people-watch and be seen. An impressive beverages list offers a great selection of wines by the glass, beers, cocktails and nightcaps. Located on the 22nd floor and exclusively for guests staying on Executive Floors, the Executive Lounge offers check in/out, breakfast, snacks, evening cocktails, internet and boardroom use, plus great city and river views.